When my friend Howard first brought my attention to the Sight & Sound “Greatest Documentaries of All Time” list, he was critical of the fact that it contained no Canadian films – after all, Canadian filmmakers have had a powerful effect on the form since the founding of the National Film Board in 1939. Canadians were instrumental in creating cinema verite and direct cinema, movements with their origins in the ’50s and early ’60s, which were rooted in a confluence of social and political concerns and the development of light-weight portable equipment – but the only signs of them on the Sight & Sound list are tangential: Paul Almond for 7 Up, and Michel Brault through his connection with Rouch and Morin’s Chronicle of a Summer. Perhaps I should feel a little sheepish as I confess that no Canadian films sprang to mind as I started to formulate my own list – this despite the fact that I’ve edited three features for one of Canada’s finest documentarians, John Paskievich. I won’t place any of those on my list, though I can comfortably include John’s most recent film, Special Ed (2013, edited by Jeff McKay). And how could I have forgotten Alan Zweig, whose Vinyl and The Hard Life are two of my favourites? I’m not as familiar with Allan King’s work as I should be (time to check out the Criterion Eclipse set of his films), and I find Ron Mann too often glib and shallow. Donald Brittain is revered, but I find his tendency towards authorial bombast off-putting, though Volcano, his film about Malcolm Lowry, is definitely interesting. 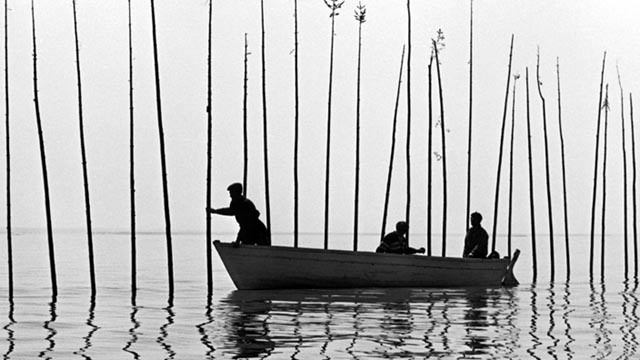 Michel Brault’s Pour la suite du monde (1963, co-directed with Marcel Carriere and Pierre Perrault), an excellent ethnographic study of a Quebecois community trying to revive its traditions, also deserves mention. One conspicuous absence from my own list surprisingly barely makes it on to the Sight & Sound list: the legendary Frederick Wiseman, who has spent almost fifty years meticulously documenting the nature and function of social institutions – from hospitals to schools to industry to government and the arts. I’ve had little opportunity to see his work, but his technique of observing without overt commentary (of course, his choice of material and editing strategies constitute an implicit commentary more subtle and effective than any authoritative narration) is something which appeals to me. I saw Welfare (1975) on television sometime in the late ’70s and High School (1968) and High School 2 (1994) on DVD about six years ago while working with a filmmaker on development of a documentary about inner city students here in Winnipeg. The original High School is a powerful commentary on a society intent on manufacturing compliant members who will obediently go to war. 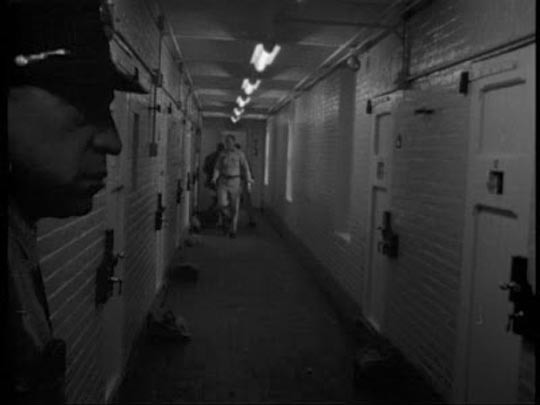 Strangely, given how extensive Wiseman’s body of work is, Sight & Sound only lists his first film (with just fifteen votes): Titicut Follies (1967), about inmates at an institution for the criminally insane, was suppressed for a couple of decades, ostensibly to protect the rights of the inmates, but more likely because it displayed the appalling conditions at the Bridgewater State Hospital in Massachusetts. In addition to the filmmakers mentioned in my two previous posts, a number of individual titles quickly made their way onto my list of favourites. In some cases, these were by filmmakers whose other work remains unfamiliar to me. These include Workingman’s Death (2005) by Austrian director Michael Glawogger (who died this past April), a devastating yet visually beautiful observation of the often brutal conditions faced by people struggling to make a living; West of the Tracks (2003), Wang Bing’s epic contemplation of social decline in a northern Chinese industrial city which is being left behind by the new capital-driven economic order; A (1998) and A2 (2001) by Tatsuya Mori, a pair of rough, hand-made films about members of the Aum Shinrikyo cult which became notorious in 1995 when its members released sarin nerve gas into the Tokyo subway system, killing thirteen people and affecting a thousand more. Mori’s focus isn’t so much on that terrorist act as it is on the psychology of cult members and the impact of society’s response to the attack on individuals inside the cult; how could those members cling to their beliefs when forced to view themselves as pariahs? Then there are filmmakers with quite familiar bodies of work, for whom a particular film stands out or for whom documentary is not their primary focus. Steve James has been quite prolific for three decades, winning multiple awards, and perhaps best known for Hoop Dreams (1994), a multi-year study of two inner city Chicago kids striving for an athletic scholarship which is pretty much their only chance for a better life. That film is on the Sight & Sound list, but for me the one that really stands out is Stevie (2002), a devastatingly personal account of James’ relationship with Stephen Fielding, a kid from his hometown for whom he was a Big Brother for years. When James returns after ten years and reconnects with Stevie, he finds himself drawn into a messy and troubled life; over four years, James observes and becomes uncomfortably involved when Stevie is accused of a crime which threatens to destroy his family. Stevie is a gripping observational study of a working class family caught up in the complexities of the American legal system, a psychological drama about a mentally backward young man who never really understands what’s happening to him, and an incisive investigation of the often fraught relationship between a filmmaker and his subject. The first film I saw by Austrian filmmaker Ulrich Seidl was his documentary Animal Love (1996), in which he sets out to explore the relationships people isolated within urban environments form with their pets. It’s funny, emotionally rich and often sadly moving. It also exhibits Seidl’s stylistic trademark of very formal visual compositions which situate his characters within architectural and natural spaces which serve to illuminate psychological and emotional states. I haven’t seen any of his other documentaries, but I’m a great admirer of his dramas, which are all directed with a powerful element of documentary observation. 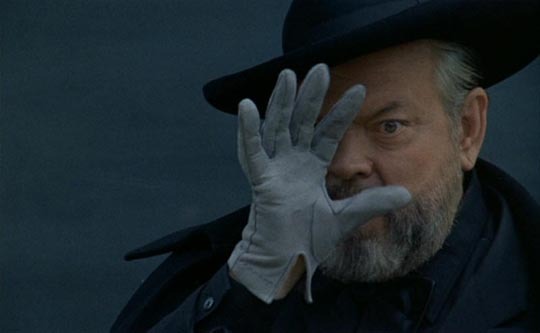 And then, pushing the boundaries of the form (not surprisingly) is Orson Welles’ F for Fake (1973), in which he plays with ideas of truth and illusion, appearance and reality, until they become so inextricably tangled that the very idea of documentary truth is at best problematic. Mixing an account of Clifford Irving’s fake biography of Howard Hughes with footage from a documentary about renowned art forger Elmyr de Hory, along with Welles’ own history (his famous 1938 War of the Worlds radio broadcast) and interest in magic and stage illusions, the film becomes an act of misdirection which calls into question its own purposes, and stands as the most playful work in Welles’ fascinating career. After coming up with my own list, I finally took a look at the Sight & Sound list on-line to compare. My list overlaps with 13 of their 56 choices, slightly more if you include my mentions of Peter Watkins and Humphrey Jennings in the first part of this post. 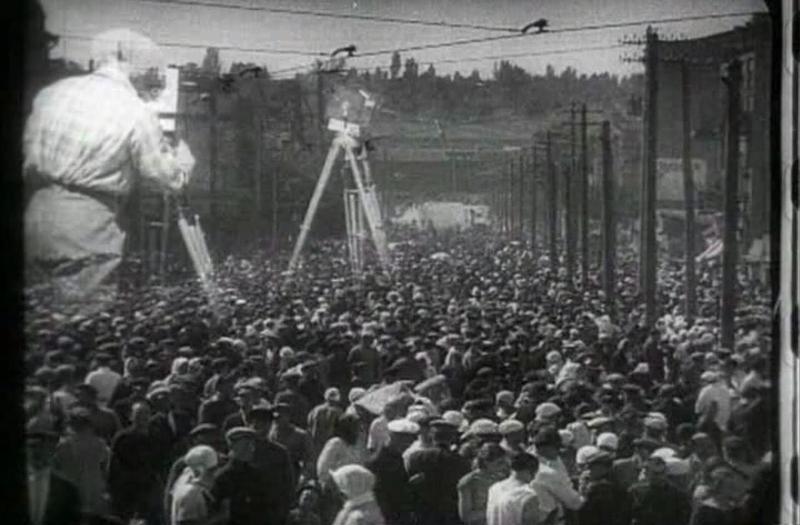 There were, of course, a number of obvious titles in their list, starting with Dziga Vertov’s Man With a Movie Camera in the number one spot and Leni Riefenstahl’s Triumph of the Will near the bottom. I was a little surprised to see that there are only 15 on the list which I haven’t seen … and embarrassed at a few (including some recent titles) which didn’t occur to me when making my own list: Joshua Oppenheimer’s The Act of Killing (2012), for instance, or Terry Zwigoff’s Crumb (1994), Abbas Kiarostami’s Close-Up (1990), James Marsh’s Man On Wire (2008), Shirley Clarke’s Portrait of Jason (1967), Georges Franju’s Le sang des betes (1949) and – particularly – Thom Andersen’s brilliant essay Los Angeles Plays Itself (2003). Sight & Sound polled over 340 critics, programmers and filmmakers and yet even the top film gets only 100 votes, with a steep drop to 68 for second place Shoah (1985), a film which I purposely left off my own list because I find it so problematic (I found myself in a rare instance of agreement with Pauline Kael when she went against the general critical grain over this exhausting epic). I’ve always felt that Claude Lanzmann’s nine-hour study of the Holocaust has achieved its stature more through reverence for the subject than for the filmmaking itself. Which is to say that it’s undeniably valuable as a historical record of appalling events, but infuriating as a film. Lanzmann’s insistence on making the viewer sit through lengthy interviews conducted through interpreters in which we have to listen to him ask a question, listen to the interpreter interpret, listen to the subject respond, then listen to the interpreter conveying that response back to Lanzmann again violates the simplest principles of editing, and the argument that somehow this ensures absolute authenticity and precludes directorial manipulation doesn’t really hold up as even with this pedantic approach Lanzmann’s presence and purposes still dominate the film. There’s an intellectual arrogance in Lanzmann which becomes very off-putting, his insistence that somehow he alone is objectively serving history and that everyone he encounters must give him what he wants because whatever pain he might be inflicting through his relentless questioning is unimportant when set against his need to document it. The sequence with the Jewish barber who is forced to talk about the death of his own wife in a Nazi camp becomes a distasteful display of bullying in which a brutish Lanzmann makes the elderly man relive the absolute worst experience of his life just so the director can get the pain on film and pass it along to the curious. 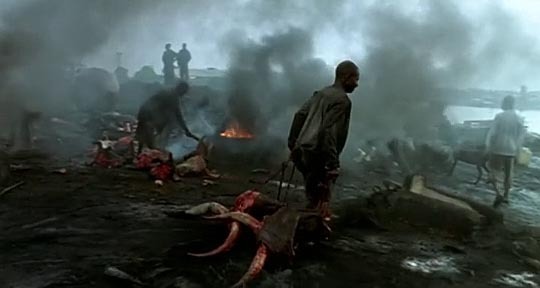 Given the film’s subject matter, the absence of a sense of humanity in the filmmaker (such as Ophuls displays in The Sorrow and the Pity) paradoxically creates a sense of distance between the material and the viewer. It doesn’t really help that beyond the film itself, Lanzmann more or less declared that his approach to that history was the only valid one and that because his film is definitive no one else had a right to deal with the Holocaust on film after him. The fact that by number eight on the list (The Gleaners & I), none of the remaining films garnered even thirty votes merely goes to show just how difficult it is to obtain some kind of consensus about these things. We all have our likes and dislikes, our favourites, and ultimately it’s all subjective anyway. It’s always valuable to see what interests other people; the only risk lies in ascribing some fixed, objective value to the results – even our own tastes and preferences fluctuate with time. So the only real value in a list like this is in its giving us suggestions of films to seek out which may well be of interest. This entry was posted in Commentary and tagged American film, Directors, Documentary, Film Criticism, French Film, German film, Japanese Film. Bookmark the permalink.